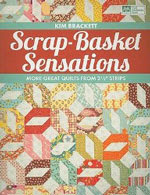 I’m a scrap lover, but if I am using one designer’s prints, that designer is Kaffe Fassett. Love your patterns, Kim!! I really don't have one designer that I have to have all their fabric. I love all fabric equally. 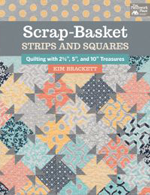 LOL I mainly make scrappy quilts as that is what my family loves the best so this book would be awesome to add to my quilting library. Thanks for the giveaway and congrats on the release of your new book. Your obsession is shared by so many of us. It’s going to be difficult to name a favorite designer. A few that I love are Kate Spain, Sheri & Chelsi, Corey Yoder, Lella Boutique, & Pat Sloan. Happy quilting! My favourite designers are 3 Sisters and Philip Jacobs, but I like lots of other designers as well. I can be flexible. Thanks for sharing your quilts. I really have an assorted fabric stash, with random designers. I really like Lynne Hagmeier's Kansas Troubles fabric, so I'd have to say that I have more of her fabric than any others. I really didnt think I had a favorite designer then I looked at the last few orders I had made of fabric---Deb Strain. I have been purchasing a lot of her lines lately. 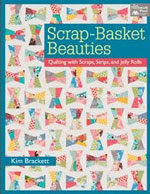 Looks like a great book and I do have lots of scraps. I love anything moda and I'm drawn to deb strain too. Love anything with cute subtle color! And so far I'm loving your book!! My current favorite fabric designer is Joanne Figueroa of Fig Tree Quilts. I have collected several pieces of her fabrics as well as a few fat quarter bundles. I also have several groups of Minick and Simpson fabric. 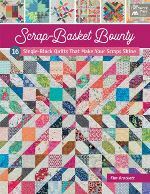 I see some scrap quilts in my future. Would love to win a copy of your new book to make my collection complete. I love colorful pretty fabrics period. It all attracts my attention. I am a hopeless consummate personal fabric curator. Some names: Amy Butler, Anna Maria Horner, Valori Wells, Zen Chic. Oh, this book is gonna be good. Can't wait to see more quilts from your book. For fabric designers, I love Zen Chic and Sweetwater. You are so right! I tend to buy almost every line from Minick and Simpson, French General, Edyta Sitar and Primitive Gatherings. 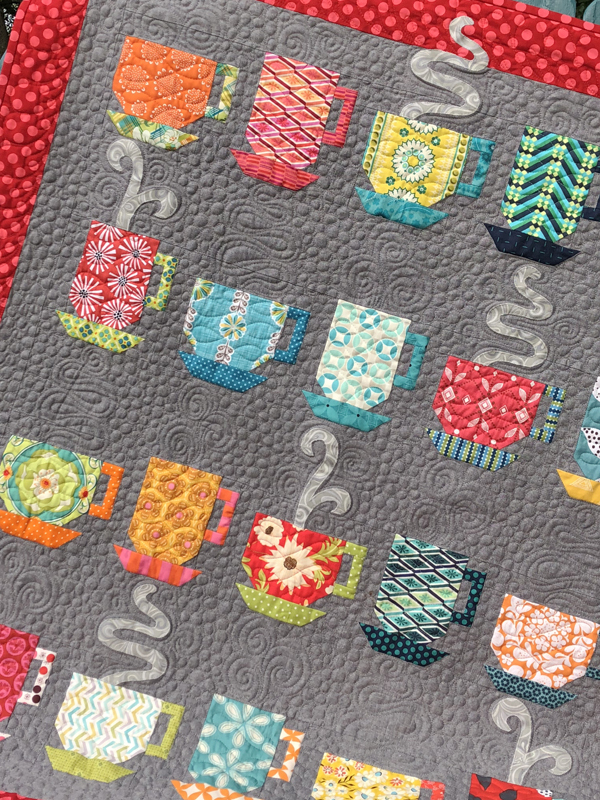 Each of the designer's collections seems to work together and the more fabrics the better for scrappy quilts! I have a few designers that I like and make quilts using their fabrics exclusively. Two of then are Kaffe Fassett and Marcia Derse. I have other designer lines that I just mix into quilts: Philip Jacobs is one of them. My two favorites would probably be Kim Diehl and 3 Sisters, although Minick and Simpson is close too. I have started collecting American Jane fabrics. I love the vibrancy of the colors. Moda designers are my favorite—Kate Spain, Joanna of Fig Tree, and Minick & Simpson. I miss Barbara Brackman’s stellar reproduction fabrics. I always learned a lot of history from her lines. I just love your unique quilt pattern designs! In fact, it was one of your patterns that I used with my precious Anna Maria Horner (my designer obsession) fabrics! After quilting for so long, I love using many different fabrics, some older and some new to keep it fresh. I have many favorite designers, but especially love Kaffe Fassett. Designer obsession :Joanna Figueroa (Fig Tree Fabrics)! Holy wow. Thanks for a chance to win. I don't really have a favorite designer - or at least I don't really pay that much attention to who designed the fabrics. I just choose the ones I like - both pattern and color and go with that. 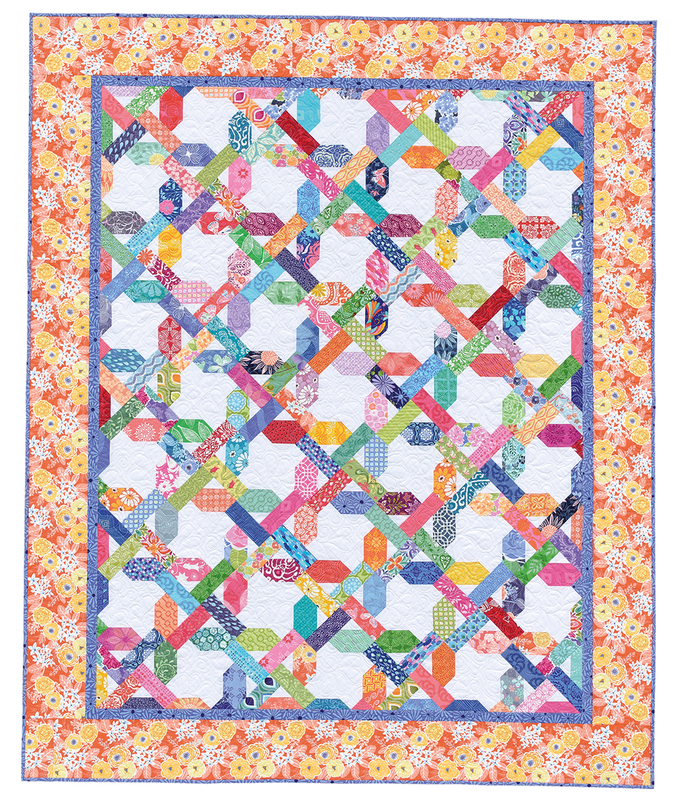 That Luminous quilt is so beautiful! One of my favorite designers is Julie Pachkiss (sp) at In the Beginning Fabrics, also Jason Yenter, especially for children's quilts. Their designs are so whimsical and always have an abundance of 'I spy' figures. I love brights, and who's brighter than Kaffe Fassett? He and his designers really know how to make designs with color! I also like Tula Pink and Cotton & Steel. Your designs are fabulous! I'd love to win a copy of your book! I do love scrap quilts. I've been quilting long enough to have a nice collection of scraps. However, if I had to pick ONE designer, it would be French General. Luminous is such a pretty quilt. Who do I love...there are sew many...one definite fav is Atsuko Matsuyama...love er 30s prints. I love "Magnolia Cottage" but all those points to match up :-O I seem to use mostly B&C and FigTree these days. I really like Kaffe Fassett and Philip Jacobs--also Anna Marie Horner and the Art Gallery fabric designers. Fun to see how you put your fabrics and colors together--beautiful! I do love Bonnie and Camille but it would be fun to play with some Kate fabric. Beautiful quilts, Kim! Another Kim is one of my favorite designers, Kim Diehl. I’m also a fan of Cotton and Steel designs. Thanks for the chance to win. I love scrap quilts! I don't usually tend to collect any one collection, I just love all fabrics! I do love Edyta Sitar. However I love all fabric and don't tend to lean to one designer or another when shopping. This past year I have started buying bundles. I have s huge stash and don’t need��fabric except to fulfill my obsession. I’m enjoying Tula Pink fabric. Oh, yes...I definitely have designer faves, although I also love the discipline of making a scrap quilt from ramdom, coordinated scraps. I love anything Jo Morton designs, 3 Sisters, any and all fabrics that call themselves William Morris, Kathy Hall, Judie Rothermel, many Sentimental Studios designs, and, of course, every Kona I’ve ever clapped eyes on. And all batiks! I’m a big fan of Bonnie & Camille, Figtree, Corey Yoder, Kate Spain, Lella Boutique, Vanessa Christenson, for starters. Hmmmm, I don't think I have a designer obsession yet...perhaps I am just at the stalking level....C&S, Tula, Joanna F, and then any cute novelty. I am trying to buy more modern looks with just color....no cute bunny. I love how using scraps adds movement and dimension to my quilts! I have fabric crushes on so many designers! Kaffe Fassett, Tula Pink, Bonnie & Camille, Kate Spain, Corey Yoder, Natalie Barnes, Jane Sassaman, to name a few, lol. I love batiks and fell in love with the brights in Jacqueline de Jonge's Be Colourful line, I also am drawn to Peggy Tooles fabrics from Robert Kaufman. I would love to win an e copy of your new book. I'm obsessed with Bonnie and Camille! Love your new book! My favorite designers are Tula Pink and Kaffe Fassett. I'm pretty much a tried and true scrap quilter, but I do have decent sized collections from Bonnie & Camille, Kaffe Fasset, Nancy Halverson and Sandy Gervais :-). I love Kate Spain fabrics, too. I'm also a big fan of Tula Pink and Alison Glass. I don't buy much fabric anymore. I used to buy everything (and I mean everything) put out by Fig Tree. Anymore, I lean to Minnick & Simpson fabrics, but tend to buy by whim or color when I do purchase. Sweetwater always seems to put out lines I love! But I too mostly purchase on a whim, as the mood strikes, usually because the colour appeals to me. So many wonderful designers out there today. My personal favorite right now is Vanessa Goertzen of Lella Boutique. I really can't pin down a favorite designer right now. I do seem to be drawn to my Kaffe Collective fabrics the last few months. I have several fabric designer obsessions and they are soooo different from each other! I love anything Basic Grey! I adore Edyta Sitar. Kim Diehl’s fabrics are also at the top of the list. 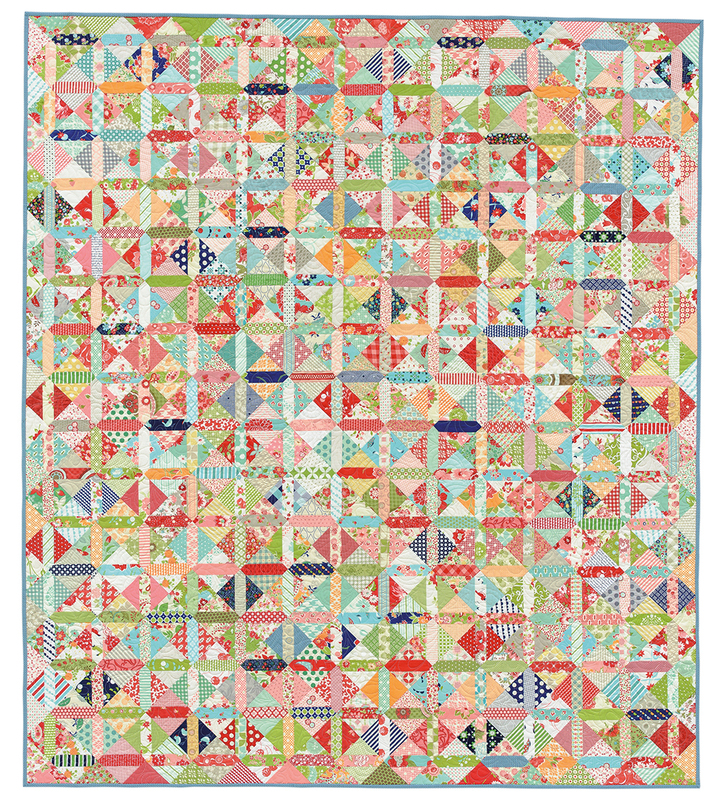 Love the pictures of quilts in your new book. I find that I buy almost every Minick & Simpson line. I’m a huge Bonnie & Camille fan but I also love all the Riley Blake designers. Great to have these types of quilt designs ... I have some of every line by Me and My Sister and am working on two different quilts to incorporate them all, but they keep making fabric faster than I can sew them! These are lovely inspiration! I have a few designers that I enjoy. Janet Clare is one. Fig Tree's Joanna is another. I love to use the leftover scraps. 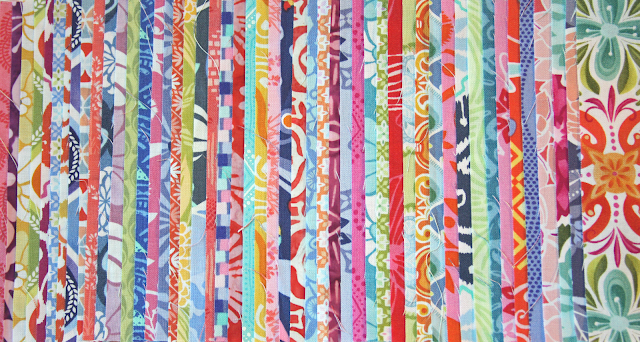 I am obsessed with fabric lines by Lisa Bongean. Also like Me and My Sister fabric lines. Magnolia Cottage just took my breath away! Wow, is that quilt gorgeous. I have three designer obsessions...Kansas Troubles, Pam Buda and Laundry Basket. Oh yes, and Kim diehl, 3 sisters, Kathy Hall, Betsy Chuchian too!! LOL Thanks for this chance! I enjoy the coordinated pre-cuts and most often gravitate to Sweetwater or Bonnie and Camille. I like Minick & Simpson right now, and the Kansas Troubles fabrics. For modern I like Alison Glass. I really am starting to collect fabric in a big way! Your quilts are beautiful. I can picture making one in Bonnie and Camille fabrics. Or Fig Tree. I'm a pretty eclectic girl! I have small collections from Kim Diehl, Kaffe Fassett, Alyson Glass, and Minnick and Simpson. 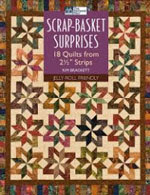 As I look at the great quilts in this book, I try to think which group of fabrics would look good in each quilt. Can't wait to start. I love many designers truthfully. Kaffe Fesette, Tula Pink, French General, Blackbird Designs, Fig Tree, Kim Diehl, Me & My Sister, etc. They all are favorites, it depends what I'm making too.